Skills [Available Now]. The first and most visible change you’ll notice are new forms of expression. There are now way more ways to participate in your favourite stream than just typing a message into chat. From sending animated Stickers and GIFs, launching celebratory Effects like fireworks and laser shows, or rallying the community to keep digital beachballs bouncing, Skills provide completely new ways to express yourself while watching a stream. Sparks Patronage [Available Now]. Now, you can support your favourite Streamer without breaking the bank by using Sparks. Earn Sparks just by watching streams, spend them on Skills and help partnered streamers reach milestones that give them real money payouts. Mixer Embers [Coming Soon]. Celebrate and show support with Mixer Embers, a new virtual currency that you can buy and use on high-value Skills. Embers will be a paid currency that goes a step further than Sparks and provides your favorite streamers with direct financial rewards and bigger celebrations. Progression [Coming in 2019]. 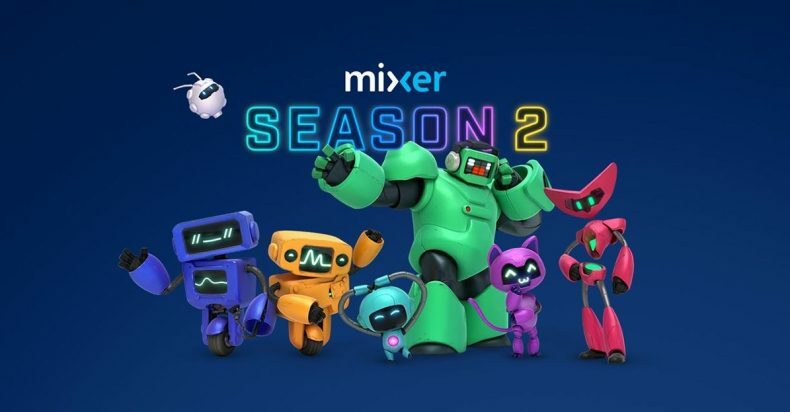 The Mixer progression system will reward your entire engagement with a streamer’s community and on Mixer as a whole. Level up by participating in chat, using Skills, earning Applause from other users (stay tuned for more details on how Applause works), or simply coming back each day. Show your support for the community, unlock new Skills and stand out from the crowd. The focus for Season 2 certainly seems to be on interacting and supporting streamers, which can only be a good thing. Mixer Season 2 is live from today.